Death and incapacity can be very complicated and overwhelming. It is extremely important to take the necessary steps to protect your loved ones and empower them to make decisions on your behalf if you are unable to do so due to incapacity or death. Estate planning can make these scenarios, in which you are suddenly unable to care for yourself or in which you pass away unexpectedly, much easier for your loved ones. You need an Arizona estate planning lawyer to help you make sure you have done everything possible to help your loved ones. Many people put off the process of estate planning because they assume that their estate is too small or that they are at low risk of facing the issues associated with incapacity. However, everyone with an estate of any size can benefit from the process of estate planning. Since none of us has a crystal ball, you never really can be 100% sure that you will not end up incapacitated at some point. An estate refers, in general, to all of the personal belongings and assets that you own. This means all of your stuff as well as bank accounts, life insurance, retirement accounts and real estate. All of these need to be included in your estate plan. 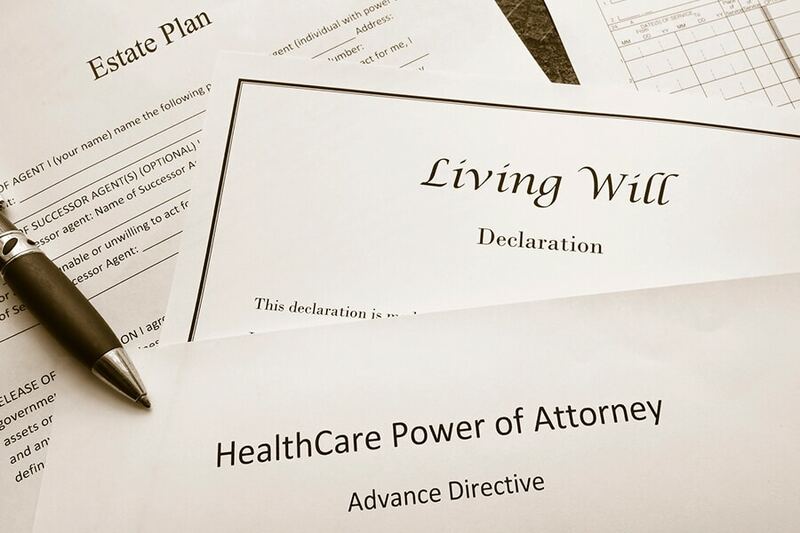 An estate plan usually includes documents that say who gets what when you die. It also includes documents that say who will make financial and medical decisions for you if you are incapacitated. It is strongly recommended that you identify an experienced estate planning attorney to assist you with your plan. The more complicated your individual situation, the more you need to approach estate planning with an eye for detail. If you have children from previous marriages, assets named in prenuptial or postnuptial agreements, or children with special needs, an Arizona estate planning lawyer can be even more helpful in your situation. Since estate planning is such an individualized process, the right lawyer can walk you through what tools you need. The following steps will help you and your lawyer be sure to put together as comprehensive an estate plan as you need. Although they are general, these steps can give you a good starting point for protecting your interests and identifying what’s currently in your estate. Are the people you have named to make decisions for you if you are incapacitated still the right folks? Have you had additional children in the past year or have you added grandchildren to your family? Has your marital status changed or the marital status of your children? If you have a Revocable Living Trust, have you linked your assets to the Trust? If you have a Will, have you beneficiary designated all of your assets in order to avoid probate? Many people are very intimidated by the idea of meeting with an estate planning lawyer. I can assure you, though, that it can be a surprisingly easy meeting. So long as you have a basic knowledge of your assets, i.e. like whether you have life insurance, and you know all of your family members’ names, you are ready to meet with an estate planning lawyer. During that meeting, the lawyer will be able to direct the conversation in such a way that you will be able to discuss and arrive at decisions re: decision makers in case you are incapacitated and who will get what when you die. Many people do not realize the benefit of an estate plan until it is too late. Struggling to deal with the emotional and legal aftermath of a family member passing away or becoming incapacitated without an appropriate estate plan can be a nightmare. You can do a lot of good for your family members by articulating your wishes, documenting them clearly with appropriate and valid legal forms, and sharing your intentions with your loved ones in a sit-down conversation. Taking all of these steps can be accomplished by scheduling a meeting today with an estate planning lawyer in AZ. Make sure you have a Phoenix estate planning lawyer you can count on for a comprehensive approach- Sue Sandys works with you one-on-one to figure out the strategies you need. Contact me today at 602-996-4076 to learn more.